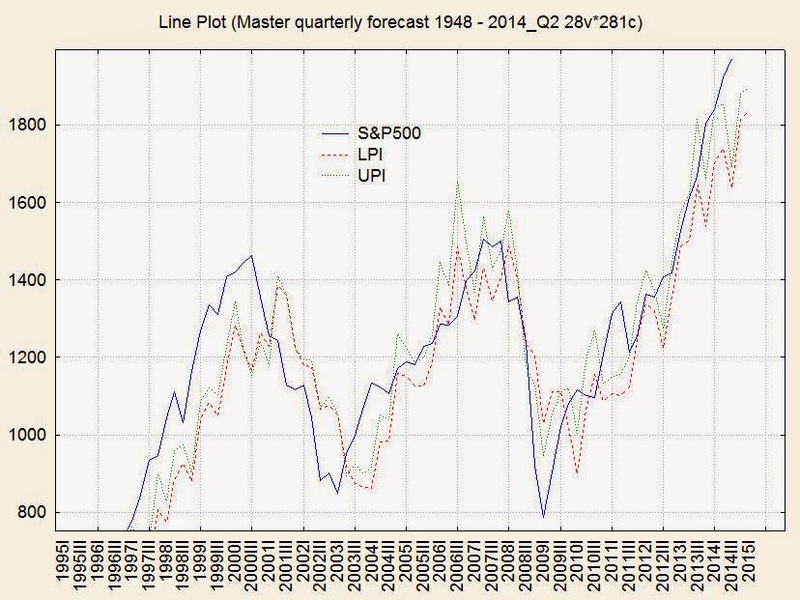 Here is my latest forecast of the S&P 500 quarterly averages. The market is quite a bit above what profits would justify, which means the PE ratio is expanding, or to put it another way, people are so desperate for earnings that they're willing to take higher risks. The market is above the forecast as it was in the late 1990's bubble.